Our curriculum emphasizes depth in mathematical thinking and problem solving rather than superficial exposure to a series of fragmented topics. GCCS emphasizes depth in mathematical thinking and problem solving – preparing students to master math skills, understand mathematical concepts, and apply mathematics to everyday life. 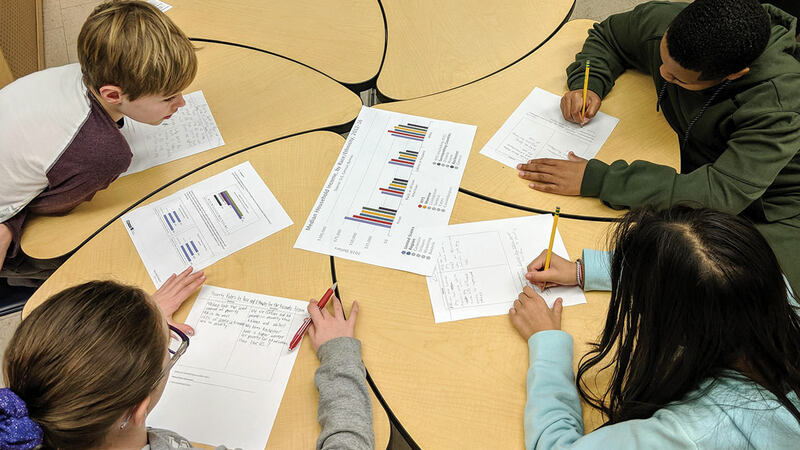 Guided by the New York State Next Generation Learning Standards in Mathematics, GCCS provides students with in-depth experiences in number, data, measurement, geometry, and probability. Students also learn to explain their mathematical reasoning and find multiple pathways to solving problems. When possible and appropriate, mathematics is woven into learning expeditions. Students may hone mathematical skills and understandings by analyzing social or scientific data, by building models to scale, or by creating mathematical models of the natural world.